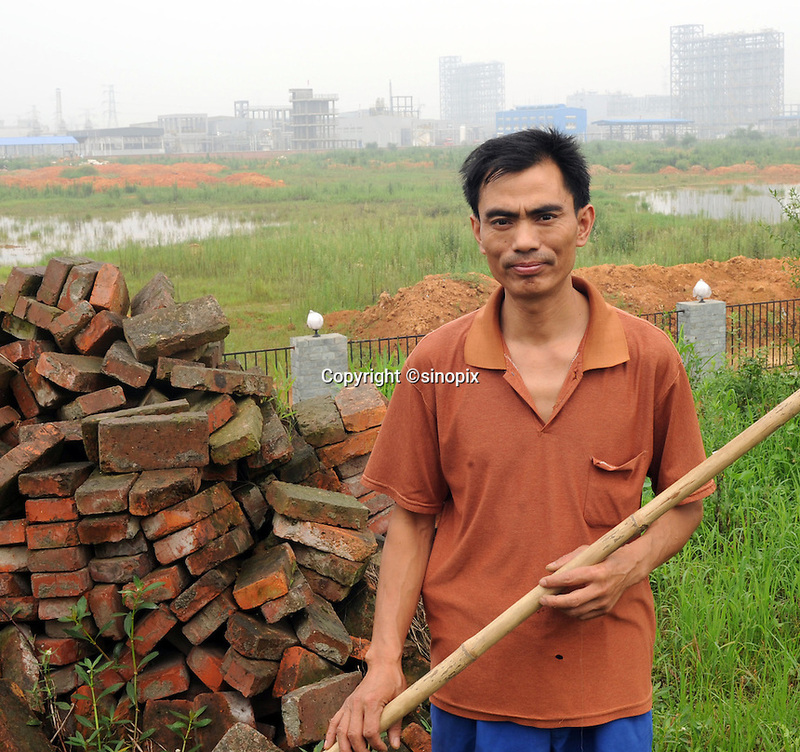 A farmer ouside the Renesola polysilicon plant in Meishan Sichuan, China, who was moved from his land due to expansion of the plant. Almost a thousand villagers in the area that were relocated when Renesola bought their land for planned expansion and were not adequately compensated. Many now live in a squatter village next to the plant.